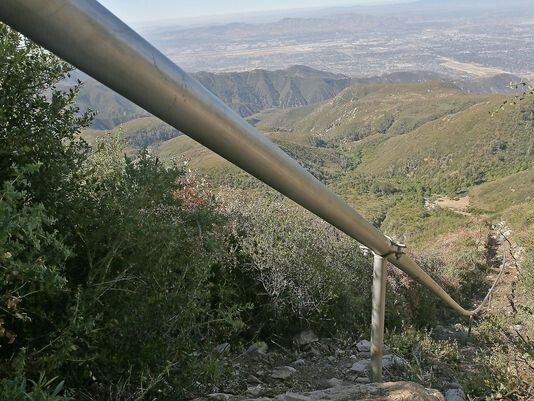 On Sunday, protests emerged in California regarding the 4.5-mile water pipeline Nestle has built in the San Bernardino National Forest. The protest emerges after a drought has plagued the state for over a year. As the National Drought Mitigation Center illustrates, the drought has started to reach controllable levels, yet the San Bernardino Valley still faces drought conditions. Many have pointed out that Nestle was using a permit that expired in 1988 for over a decade. A federal judge later ruled that the expired permit is still valid because the company’s predecessor had inquired about receiving a new permit, and never received a response from the Forest Service. Reports indicate that this was later reviewed by the Forest Service in 2016, and Nestle was proposed a five-year permit extension. According to the Nestle website, they harvested around 64 million gallons of water from 2014-2015 from the San Bernardino Forest. The Desert Sun reports that Nestle harvested another 32 million gallons in 2016. That is 96 million gallons in only three years. Nestle apparently only pays around $624 a year for the right to harvest water from the land. Regardless, it seems that no matter the legal status of Nestle’s permit to commit these actions, it will be up to the people to pressure local officials if they want Nestle’s permit revoked. It is easy to understand why activists are so upset. It appears that harvesting groundwater during a drought is considerably dangerous for the environment. Officials from NASA’s Jet Propulsion Laboratory seem to agree. In a study published by NASA, they illustrate that various parts of California are actually sinking because of over-extraction of groundwater. The Tulare Basin, for example, has sunk 22 inches during the drought. However, the NASA study doesn’t show any significant subsidence in the San Bernardino Valley. As the Nestle website states, they have been bottling water at the site for over 121 years, under the most senior water rights established in the state. What do you think about this situation? Let us know in the comments below.